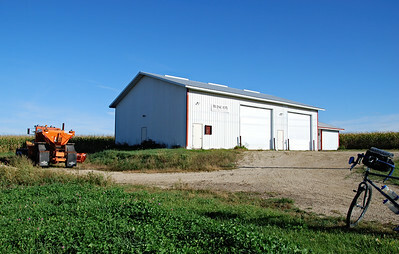 30 Sep 2017. 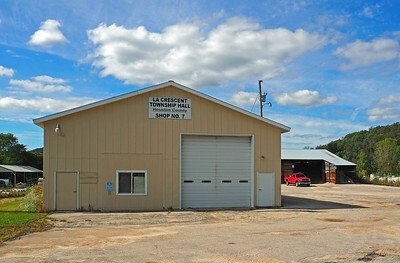 Genoa, Wisconsin to St Charles, Minnesota. 81 miles. 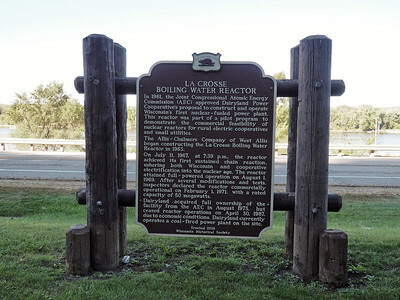 Historical marker for the LaCrosse Boiling Water Reactor, south of Genoa, Wisconsin on Hwy 35. 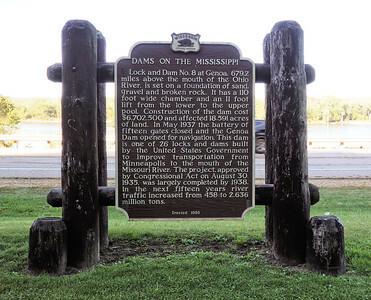 Historical marker for "Dams on the Mississippi," south of Genoa, Wisconsin on Hwy 35. 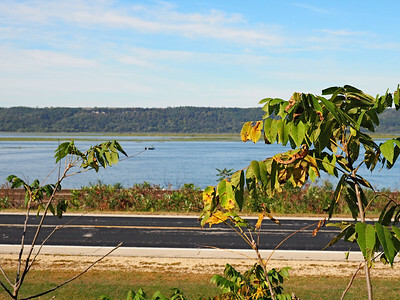 Overlooking the Mississippi on Hwy 35 at Bergen Bluffs State Natural Area. 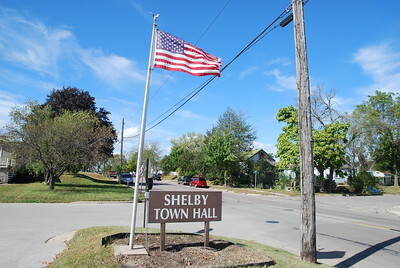 The Shelby Town Hall Annex across the street from the Shelby Town Hall. 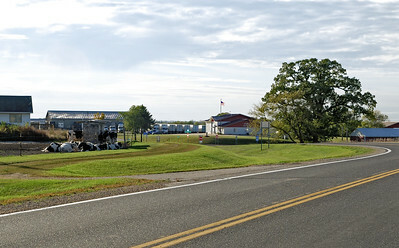 This part of the township property appeared to have a fire department, highway department, and recycling center. 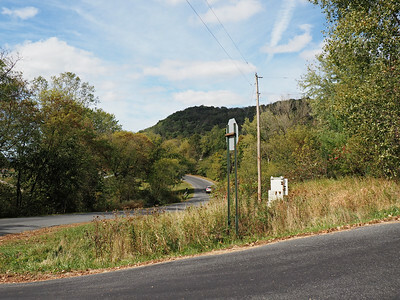 My route continued from Shelby Town Hall to the west on Ward Street. 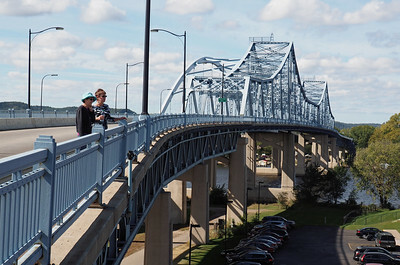 One of two parallel bridges that takes Hwy 14 across the Mississippi River at La Crosse, Wisconsin. 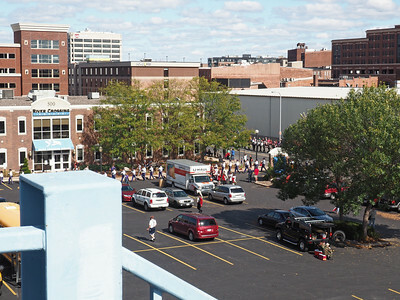 From the bridge I was able to see the end of La Crosse's annual Oktoberfest parade. 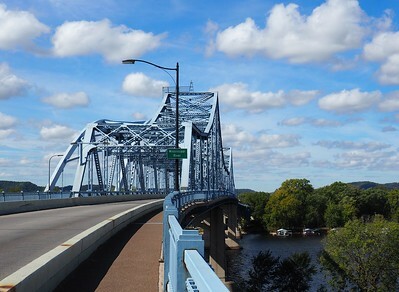 The older of the two parallel bridges that take Hwy 14 across the Mississippi River at La Crosse, Wisconsin. 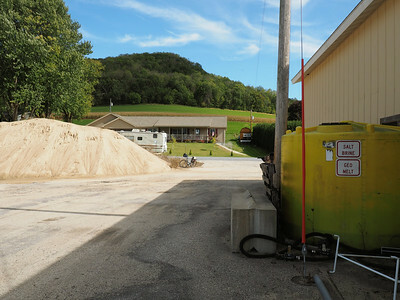 The La Crescent Town Hall is behind the concrete products plant on Town Hall Road. 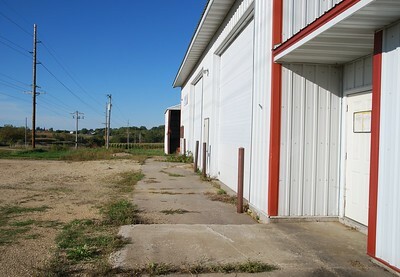 Looking across the street from the yard of the Crescent Town Hall. 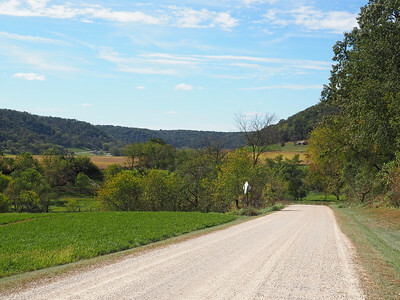 Some of North Pine Creek Road was gravel. 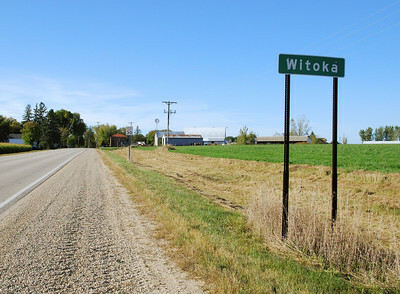 Witoka is straight ahead on Pleasant Valley Rd (which parallels I-90). 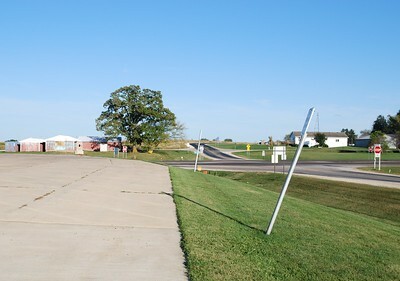 To get to the Wiscoy Town Hall I turned south here. 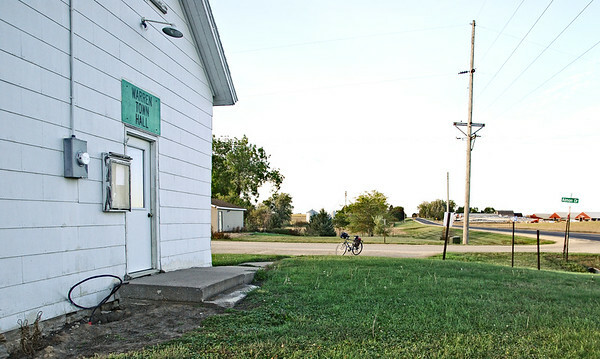 Wiscoy Town Hall is ahead on the left. 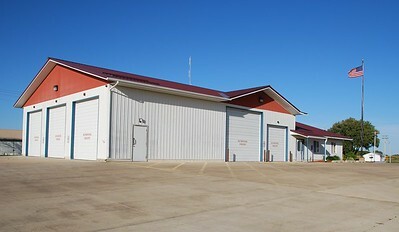 Wiscoy Town Hall and Garage. 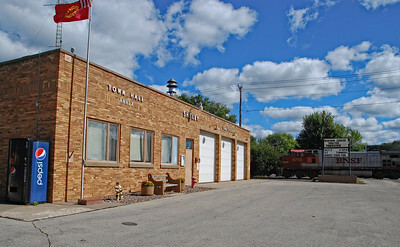 The Town Hall is the smaller section on the right. 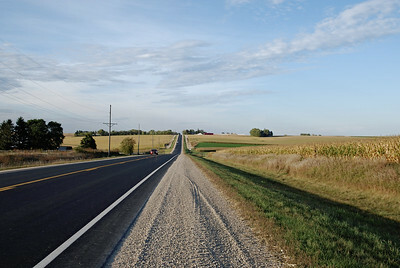 Looking north from the Wiscoy Town Hall in the direction of Witoka. 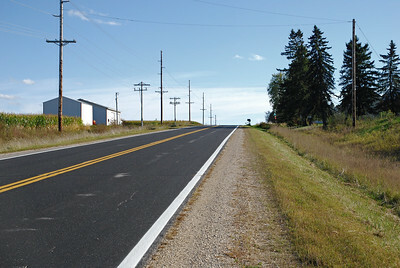 Approaching Wilson, Minnesota, and the Wilson Town Hall from the east. 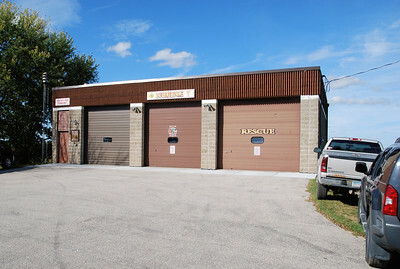 The sign on the entrance says "Wilson Township Fire Department and Community Hall." 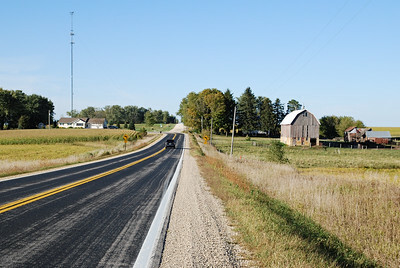 North of Wyattville, Minnesota, in Warren Township. 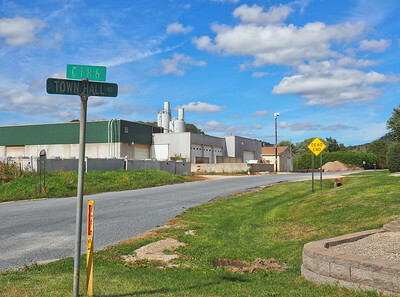 The town hall is a half mile ahead. 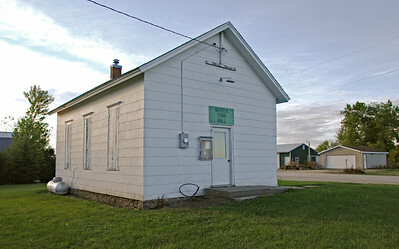 The Warren Town Hall was in the shade of an already low sun. 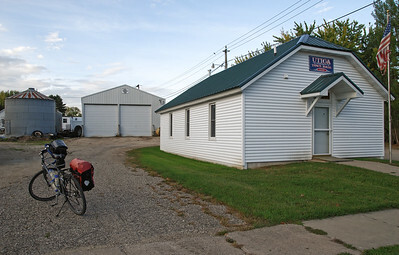 The Warren Town Hall and neighbors. 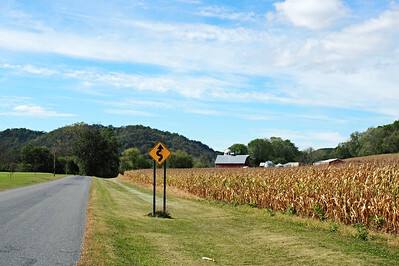 Looking north from the Warren Town Hall (the direction I was headed next). 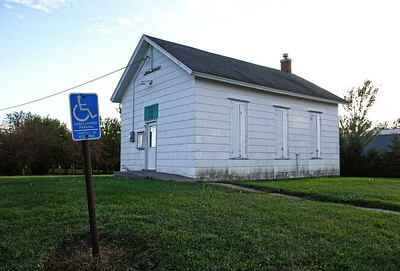 The Utica Town Hall is tucked away in the village of Utica. 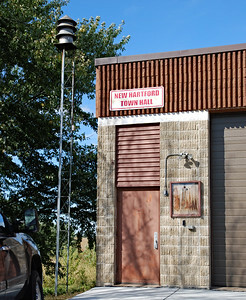 I had to ride around to look for it. 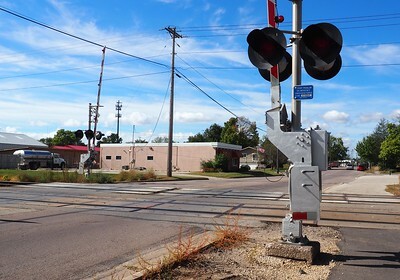 After stopping here I still had 6 miles to go to reach my destination at St Charles. It was dark by the time I got there.